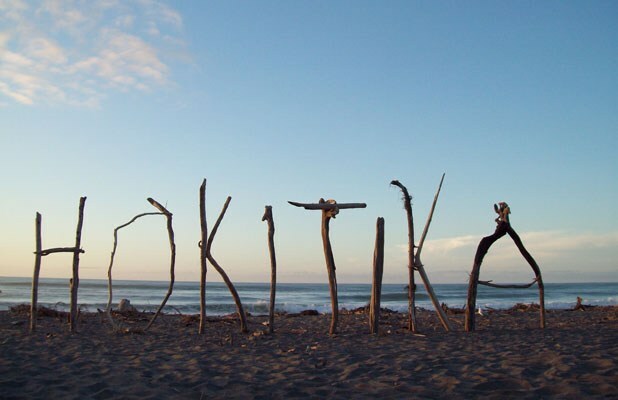 Hokitika Beach is a becoming an increasingly popular spot for many recreational activities for locals and visitors to the region. Its close proximity to the Hokitika township means all facilities while not provided on the beach are not far away. There is a motor camp 2 km away at the west of the township. Swimming is safest in conditions under 1 metre, but the waves can be deceivingly powerful, and conditions can change rapidly with rips and holes developing within hours. The beach is not patrolled by a Surf Life Saving Club. Swimming is becoming increasingly popular at Hokitika beach in the summer months. Conditions are safest in surf under 1 metre, but the surf can be deceivingly powerful, and swimmers should always be cautious. The beach dips quite suddenly into the ocean into a gutter, especially evident at high tide. A strong undertow is a feature, particularly with larger surf. Swimmers should avoid getting too close to the mouth of the Hokitika river to the south as a consistent rip current exists there. The safest place to swim is directly in front of the main carpark. As this section of coastline is quite exposed, conditions can change rapidly. Large holes, rip currents and larger surf can develop within hours and make bathing very dangerous. It is uncommon to have no waves. There is no SLSC on Hokitika beach. 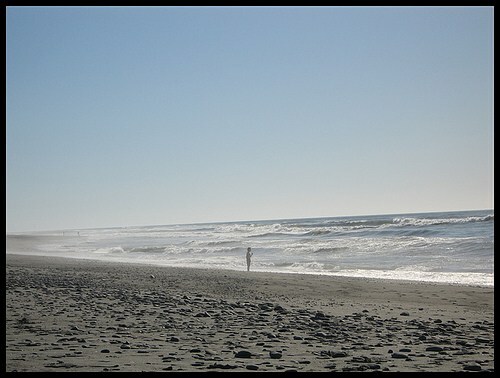 The surf at Hokitika Beach is a beach break. Offshore conditions are produced with northeast to southeast winds. There are normally 2 bars working, but more can develop in larger seas. Conditions tend to close out in surf out over 2 metres. The best tide to surf on varies due to the bars. There is usually some kind of wave available. 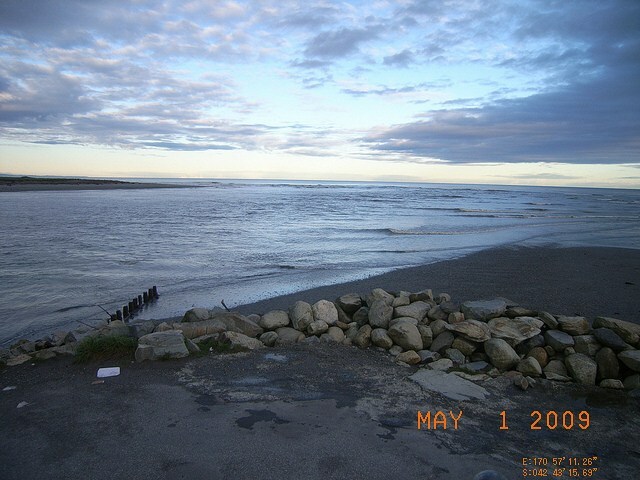 The sand spit off the Hokitika river mouth can provide a left hand break, but people don't tend to surf there. The best fishing in and around Hokitika beach is provided off the river mouth of the Hokitika river, and is a popular recreational activity for locals in the region. Surfcasting off the beach can be good too as the ocean floor can provide some depth and holes. Offshore fishing is good, but due to the readily changeable conditions, fishermen and women should always keep an eye on the weather and sea patterns. The beach is our favourite playground, but it can also be a dangerous place. 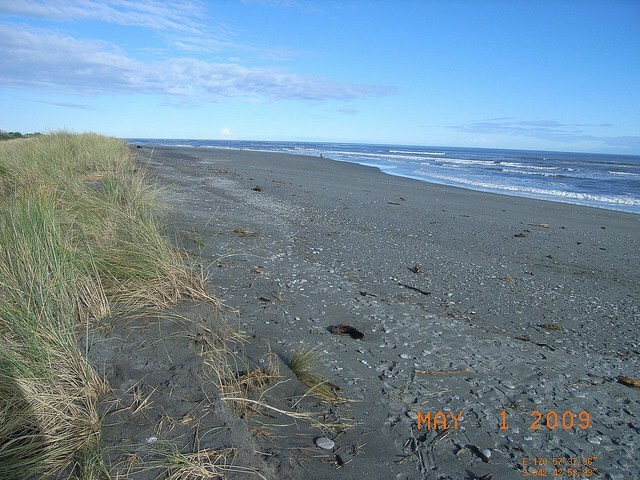 Learn about the hazards at Hokitika Beach and be prepared so you and your family can enjoy the sun, sea and sand safely this summer. 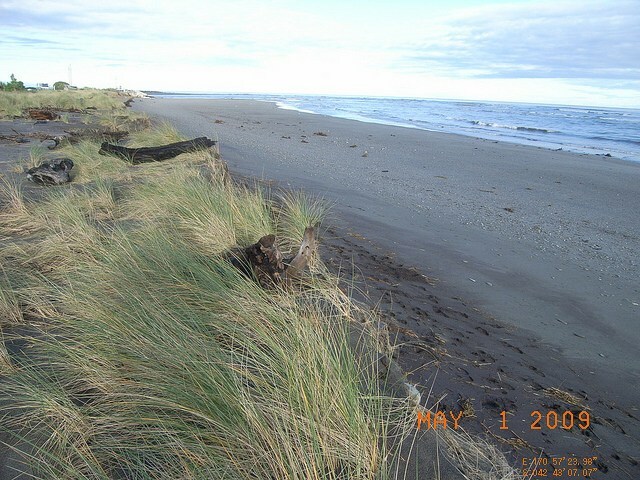 Hokitika beach is located within 100 metres of the Hokitika township. It is a black sand beach which is initially quite level in slope but drops at quite an incline into the ocean at the high tide mark, and tends to flatten out again after that. There is usually a lot of driftwood on the shore. To the south the beach is bounded by the mouth and sand spit of the Hokitika river, and to the north a small rocky outcrop. The beach is 3000 metres in length. The beach is very exposed, having no protective natural features, so it is quite prone to any environmental conditions.The main access and car parking to the beach is directly west of the city centre, and the beach is backed by the township. There are no facilities on the beach, but these are available in the township 200 metres away.